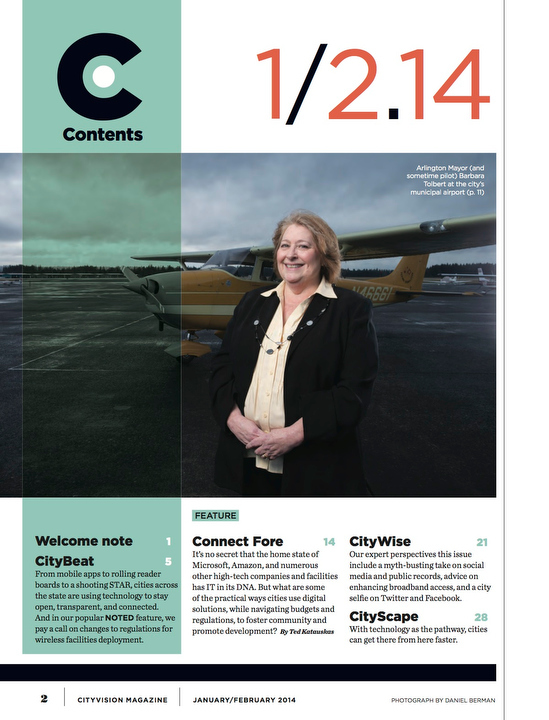 I had the pleasure last month of shooting a couple assignments for Cityvision Magazine’s Feb. 2014 issue. The theme is how local governments are putting more data online in a move towards more openness and community building. 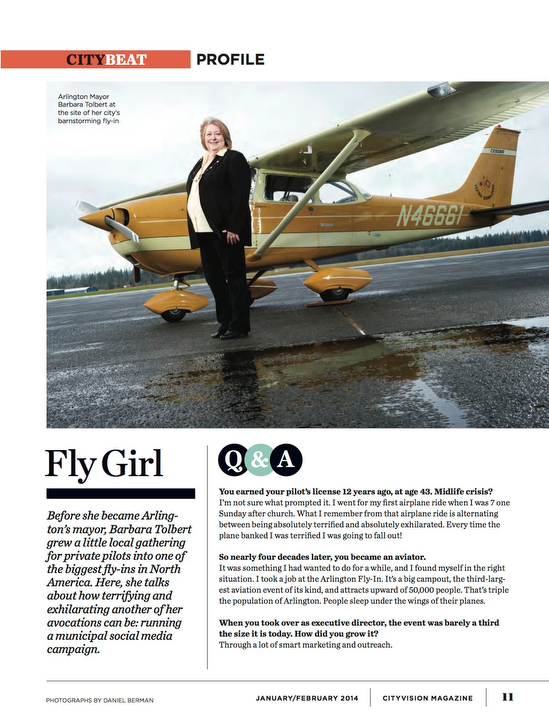 The first shoot took place at Arlington Municipal Airport to help convey how Arlington Mayor Barbara Tolbert is an amateur pilot (fun fact: that’s her plane and she flew herself in for the shoot after having lunch on Whidbey Island with friends). My friend and fellow shooter Chris Wilson gave me a hand setting up a few lights on the tarmac, which I got to drive onto! Felt a little bit like North by Northwest as I drove in between planes…I guess I can check that one off the bucket list. We also shot back at City Hall for a few more options for the editors. The next week, another assignment for the same issue came through and I photographed City of Seattle Director of Electronic Communications Sabra Schneider at her offices overlooking downtown Seattle. 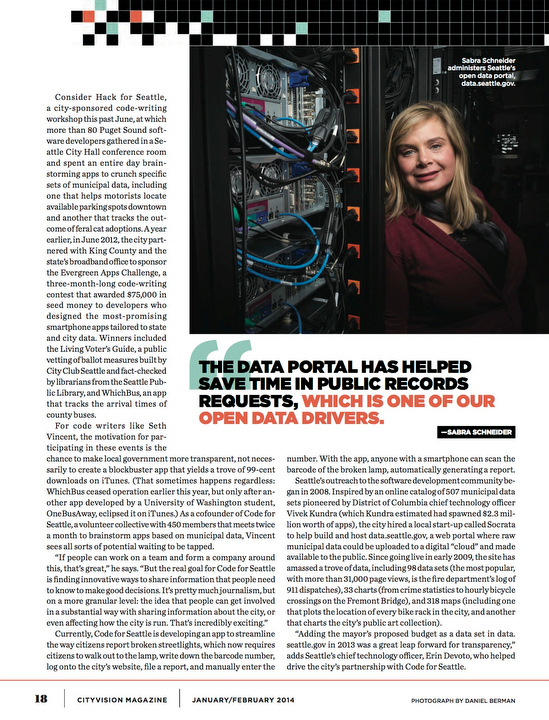 Sabra and her team are working to find more ways to put more data online, so that city residents can access the data that is publicly available to them. It’s an interesting new time for the city and I think it’s great that they are embracing new mediums to keep transparency on the up and up. Tip of the hat to my friend Kai-Huei Yau who shot a story in Walla Walla as part of the same issue on page 16.